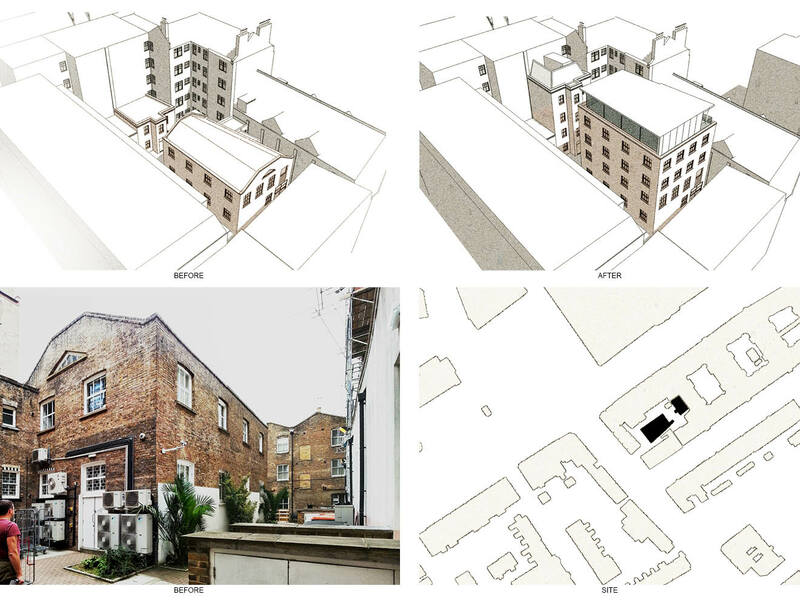 Project summary: The renovation of a warehouse including a new contemporary glass roof extension in Olympia, Hammersmith and Fulham, London in the Olympia and Avonmore Conservation Area. 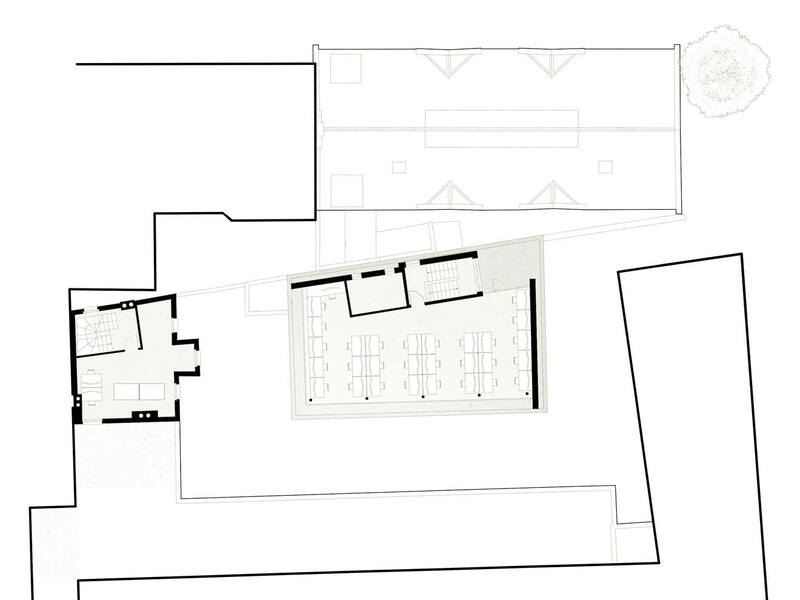 The existing Victorian warehouse and adjacent building are set in a conservation area in West Kensington and currently act as the main offices for our client’s growing business. 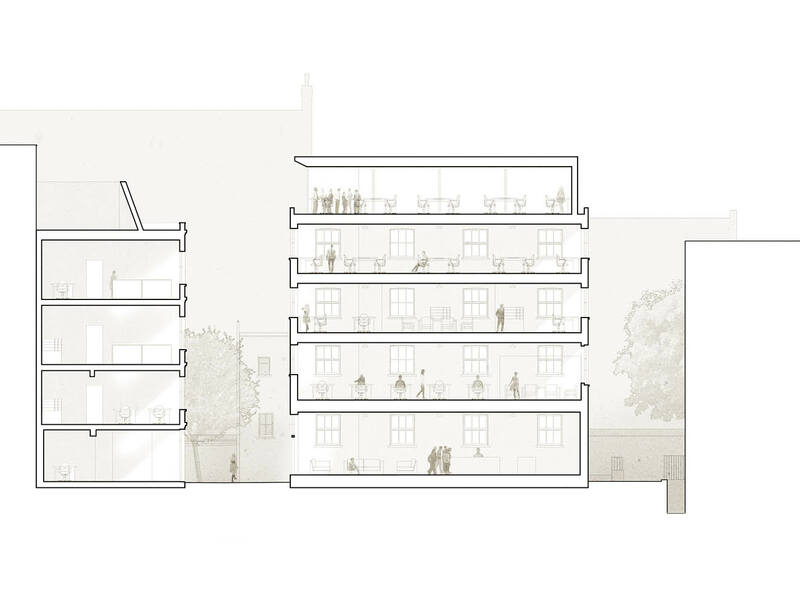 The buildings are to be sensitively extended to provide additional office space. 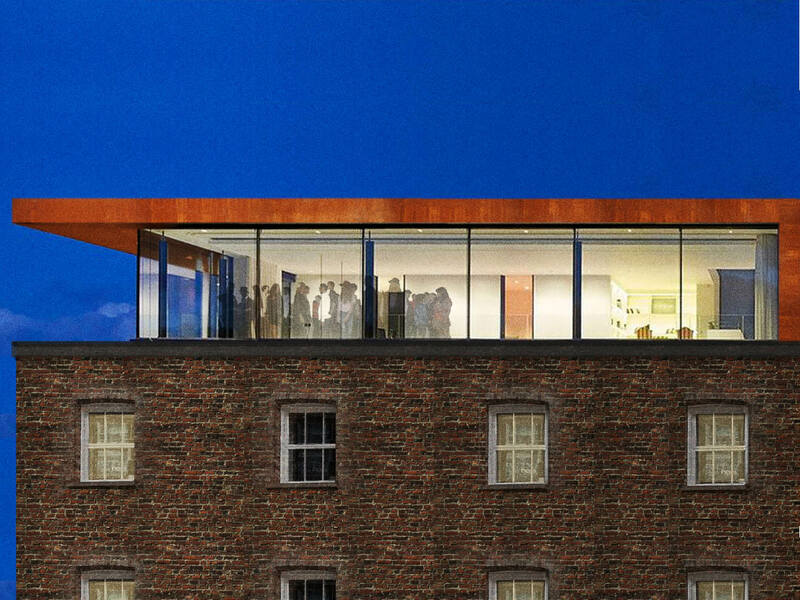 The proposed increase in height to the warehouse has been dealt with by extending the existing building in matching brickwork and traditional detailing over several floors. 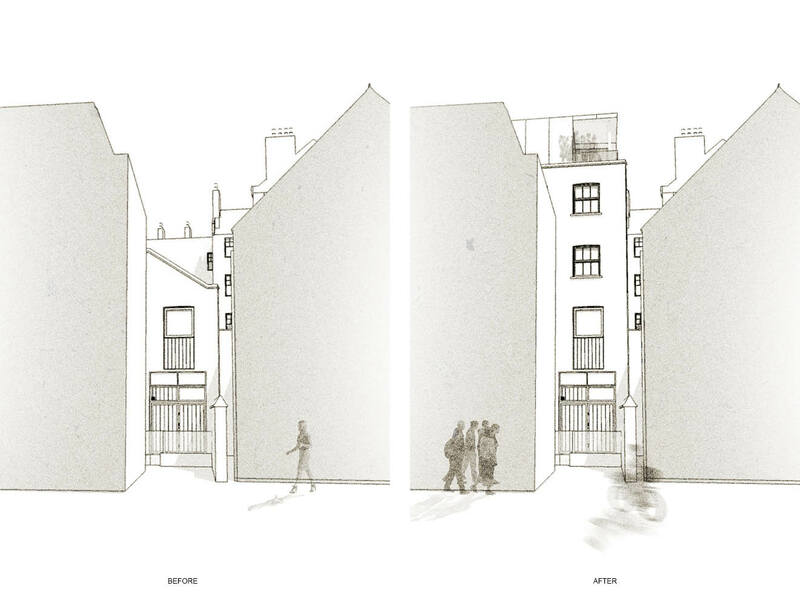 A further contemporary extension has also been proposed above this extension. This has been set back slightly behind the facade to reduce the overall visual height of the building.